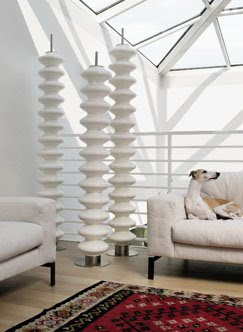 Those cool "sculptures" are actually radiator pillars! 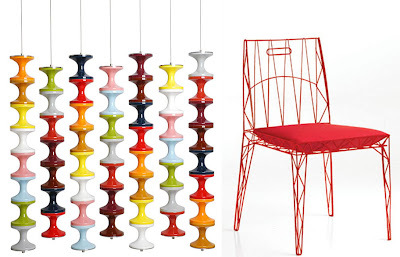 Designed by Italian company Tubes Radiatori; available in 60 different lacquer finishes. 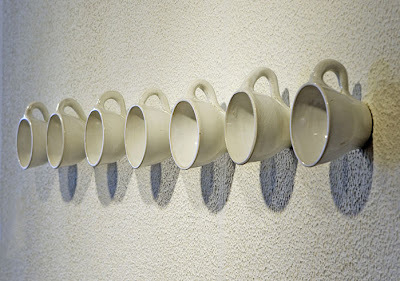 In search of a way to use everyday items in a completely new context, designer Ragnheiður Ágústsdóttir decided to transform old cups into hooks! 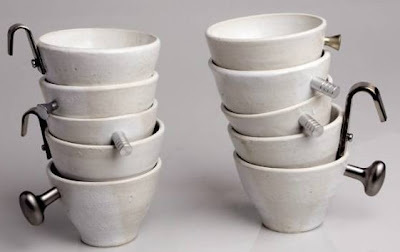 These coffee cups were designed using a specific material in an unexpected way... knobs and hardware as mug handles! thin steel-rod - love it! 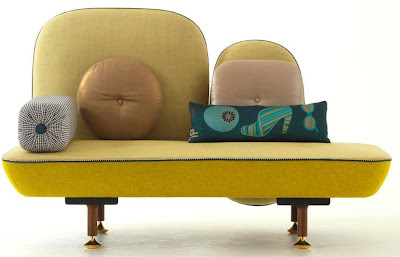 "My Beautiful Backside" sofas...what fun shapes and colors! I discovered all of these fascinating and unique new items via Interior Design Magazine. I have much more to share with you next week! Click here to see more of their new product list. 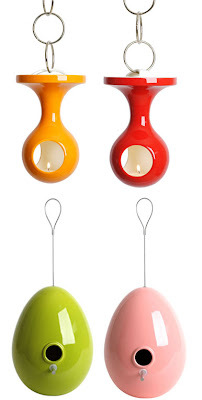 Those hanging candle holders are a great idea for those with children. They're really cool looking and they keep fire out of little ones reach. Those mugs are fantastic. I could see these with the ornate knobs you see at anthropologie or something. Also loving those sofas. Those tea cups are neat! just found your blog. love it, very savvy! love the coffee cup with unusual handle. 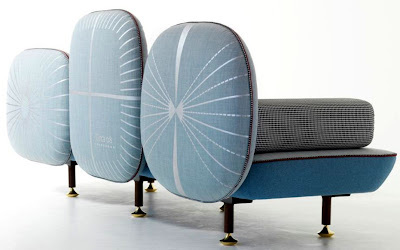 Love these sofas - how great are they!